I took advantage of the international travel scholarships available and managed to secure two separate scholarships, to travel and study abroad during my time here. “My course looks at conducting business internationally and the implications of doing so, in terms of what I expected, it’s a lot more culture focused - understanding and communicating with other cultures. I love the opportunities available in 3rd year. Being able to choose almost any country to go to and study at for 6-12 months is the opportunity of a lifetime. I can’t imagine many other points in life where I would have that available to me. 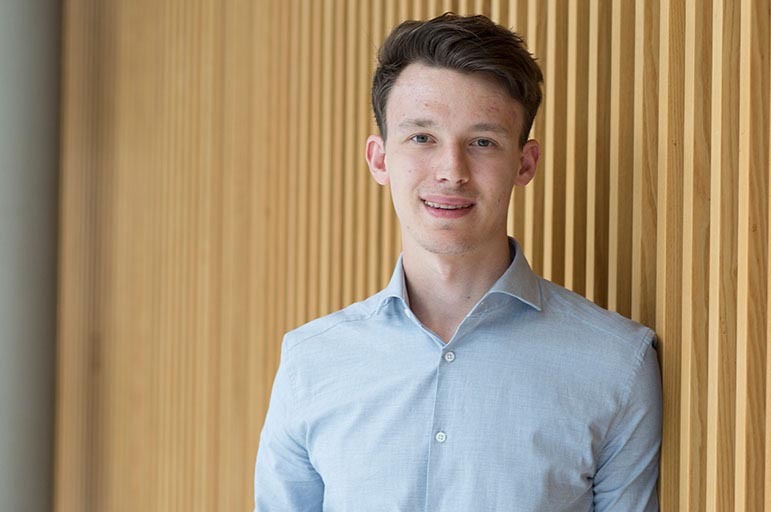 “I chose the Nottingham Business School because I wanted to do International Business and out of all the UK universities I looked at, the Business School at NTU suited my needs and requirements the most. I really liked the look of the facilities, which are world-class compared to others I had seen. “Nottingham is the perfect city for students. Due to the massive student population here, everywhere has some sort of student focused deal. It really does feel like you’re in your own little student based bubble. “Studying at Nottingham Business School has opened my eyes to the opportunity of working abroad. Previously I didn’t think it was such a regular thing to do, or that it would be very difficult to get into. I had always wanted to work aboard at some point so I think it has just helped me understand how I will accomplish that goal”.